A big, shiny holiday gift can be a crowd-pleaser, but you don’t have to break the bank to make a splash for everyone on your list. As long as you’re being thoughtful and using some creativity, a great gift doesn’t have to carry a huge price tag. Your friends and family will love these six budget-friendly options. Whether you’re going for store-bought or homemade, the good news is that giving food as a gift is both thoughtful and inexpensive. Items like gourmet candy and scorching hot sauces can be bargains either online or at a local store, and there is always enough variety to suit everyone on your shopping list. 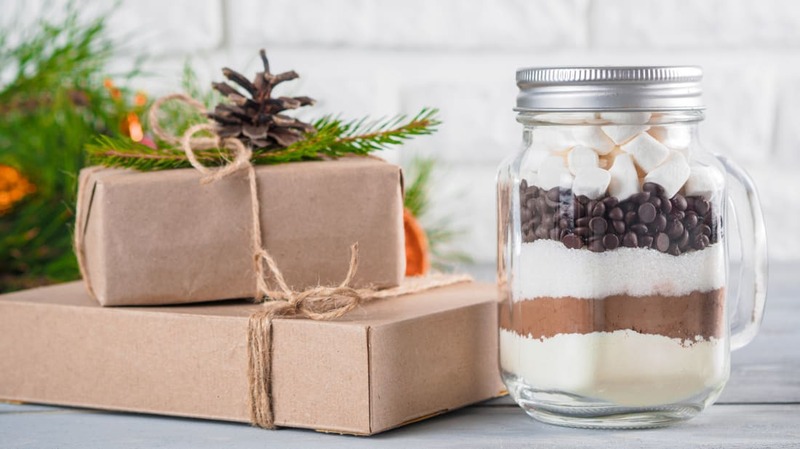 Baking might be an even better alternative because you can whip up a batch of holiday cookies or brownies in bulk, decorate some glass jars to put them in, and hand them out at work or your next holiday party. When you’re a kid, socks are the most infamously loathed gift. Once you become an adult, though, that all changes as socks become welcomed as an acceptable—and anticipated—holiday gift. Holiday socks are a great way to add a splash of personality to your wardrobe, and there are countless companies producing novelty socks that fit great and feel amazing. You can find a festive pair of holiday socks online or at your local department store for just a few dollars per pair, and with all of the varieties to choose from, you can tailor your gift to anyone’s personality. Some sites even sell holiday socks in bulk, allowing you to spread the joy with multiple gifts for friends and family. Your favorite coffee or tea enthusiast is always on the lookout for their next caffeine fix, and there are plenty of great gift options for under $10. Full-bodied coffees that pair with a winter chill or teas flavored with holiday spices are easy to find this time of year and are perfect for the cold weather. There are also plenty of coffee and tea accessories at wallet-friendly prices, including mugs and French presses. These are gifts the recipient can use pretty much every day – and think of you as often. Books are an inexpensive, thoughtful gift that you can match to anyone’s taste. Many bookstores and websites always have great deals on certain titles, with plenty of paperbacks and even some hardcovers that may be under $10 when they’re on sale or clearance. It’s not limited to one genre, either; everything from fiction to history and inspirational titles are affordable if you do a little research. Winter gear is so simple yet so vital as the temperature starts to dip. Scarves and hats are ubiquitous around the holidays, and you may be able to pick them up for under $10 in a wide range of styles and colors. For such an inexpensive gift, a scarf or a hat can become part of an everyday wardrobe in the winter, and your loved one will have you to thank. Pretty much everyone could use a relaxing bath to unwind after the work week, and you can pick up some inexpensive bath accessories for your friends and family this holiday season. Items like bath bombs may be under $10 (you can even buy bath bombs in bulk and hand them out in gift bags to multiple people this year). There are even aromatic coffee soaps you can give to the people in your life that don’t quite love the idea of sitting in lavender-scented water. Your friends may not buy these little luxuries for themselves, but they’ll be glad you did. With the right shopping list, your holiday savings can really add up. And with Discover matching all the cash back you earn at the end of your first year, the rewards will add up even more. Terms apply.Learn more at Discover.com.